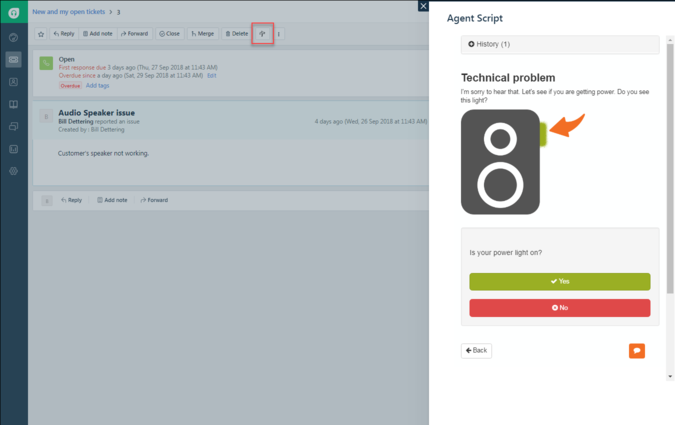 Include Agent Script Decision Trees inside Freshdesk. Ideal for live support & call centers. The Zingtree Agent Scripting app gives your help technicians a fully interactive troubleshooting solution, based upon Zingtree Decision Trees. Each ticket shows your custom Zingtree agent script as a sidebar pop-over, and includes the history of steps taken by the agent. If a ticket is transferred to another agent, the new agent can see all the steps previously taken, and also resumes at the same place in the troubleshooter as the previous agent. Zingtree.com is a toolkit for building these scripts. Once your experts build the scripts, management and authors can view reports to see how each script is being used. Individual agents can be tracked, and you can also see aggregate reports on traffic through various parts of your decision trees. 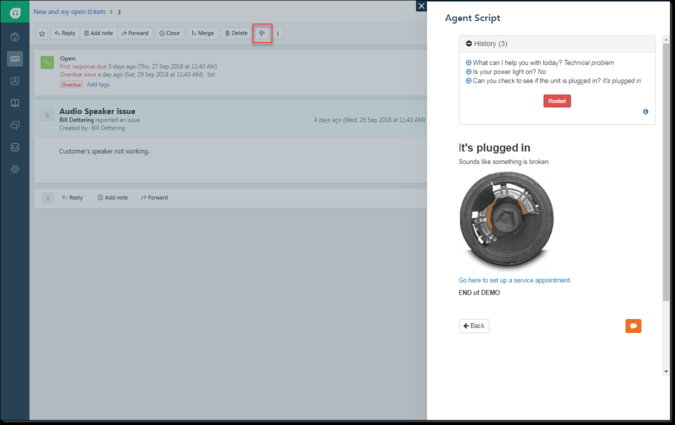 Agents also have the ability to send feedback to authors at any point in the tree. This is invaluable, as it makes agents a part of the quality process, and makes it easy for authors to continually improve the knowledge in the tree. You can learn more, and get started building interactive decision tree scripts for free at Zingtree.com. Tree ID: This is the Zingtree ID of the decision tree script you want to appear. If you want to test the app with a demo, enter 14 as the Tree ID.